AT&T just announced the pricing and release dates for the Nokia Lumia 920, Lumia 820 and the HTC Windows Phone 8X. The carrier will offer the Lumia 920 for $99.99, the Lumia 820 for $49.99 and a 16GB model of the Windows Phone 8X for $199.99, all with a new two-year contract. 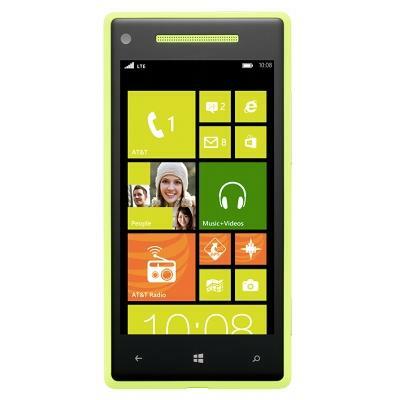 AT&T also said it will be the only carrier to offer a $99.99 8GB Limelight — neon yellow — or "California Blue" version of the Windows Phone 8X. Even cooler? AT&T said it will provide a free wireless charging plate for the Lumia 920 while supplies last. AT&T promises that the Windows Phone 8X will be available before Thanksgiving but didn't say exactly when. The Lumia 920 and the Lumia 820 will be available for pre-order beginning on Nov. 7 and will be in stores on Nov. 9th.